The Lower School at Ashley Hall features a vibrant elementary education program and includes kindergarten through sixth grade. The Lower School provides a nurturing environment where girls establish a strong foundation for rigorous and meaningful study and where there is a firm belief that self-advocacy and the building of self-esteem are critical to long-term academic success. Our integrated curriculum is taught by experienced faculty who know how girls think, feel, and learn. Daily leadership opportunities give our girls the tools and self-confidence they need to successfully navigate the Intermediate and Upper School years. 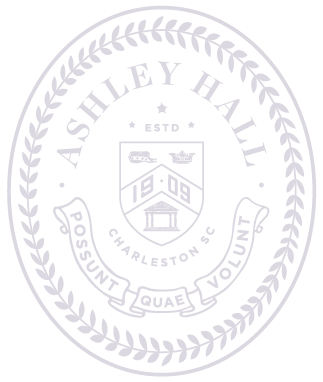 Ashley Hall is an independent private school for girls, serving kindergarten through twelfth grade students, with a coeducational preschool in Charleston, South Carolina. The Lower School offers a dedicated science laboratory with weekly hands-on instruction and field trips held throughout the year. A full-time guidance counselor serves on the faculty and offers individualized attention to the physical and emotional needs of each girl. Encouraging young female engineers, the Lower School features their own Lego team. Lego activities introduce students to real-world engineering challenges by having them build Lego-based robots that are coded to complete specified tasks. Everyday Math is a key component of our curriculum. Developed by The University of Chicago, Everyday Math emphasizes the application of math to real world situations. The Lower School literacy program uses the Units of Study, developed at the Teacher’s College at Columbia University, to foster a love of the written word and support students as they become independent, confident readers and writers. Every kindergartener takes violin or cello, and all students have the opportunity to participate in a variety of music lessons, including strings, piano, and guitar.